I'm currently trying to find a near and dear vehicle to our family. This is a long shot.. My brother and I are looking for a 65 mustang fastback. 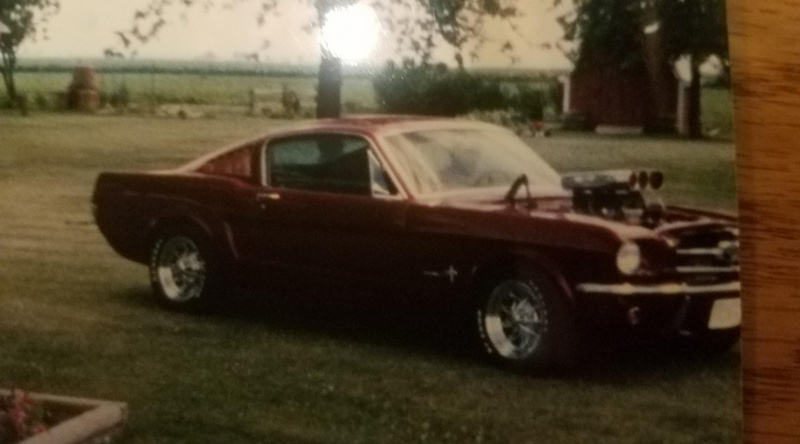 This mustang was my grandfather's pride and joy. He restored it from the ground up and stuffing a 351 cleveland modified out of a later model boss. Upon my grandparents retirement, they decided they needed a camper more than they needed the mustang. So up the mustang went for sale. My father was offered the car first, but needing to get his two kids through college, he regretfully declined. Now that his sons are grown, out of the house, and no longer expenses for him, he mentioned he'd love to restore a 65 fastback like dad's. My brother and I are hoping to take it one step further and actually find grandpas old mustang. We live in central Illinois, and to my knowledge, the mustang was purchased from someone in/around the Boston area. He hired a car hauler to haul it to him. It would have been about 12 to 15 years ago. My brother and I are in the early searching stages right now and any kind of help would greatly be appreciated. We're trying to locate some more specifics, but that's been a struggle since my grandparents never really kept on to anything like that, other than a couple pictures.. Were willing to drive across country to make this happen, just to see it. Purchasing would be preferred, if the owner is willing to part for the right price. Any positive leads on this mustang may result in a reward. Welcome to VMF and good luck with your search! You might try sending an email to MOM(Mustangs Of Massachusetts) to see if they can help. They are a big group and might be able help. I hope you find your car. Ok thanks. We found the vin and ran a report. The car is titled in Maryland. So at least we got it narrowed to a state so now is the search for the owner. At least we know itÂ’s not been junked and that itÂ’s sitting somewhere. Cobra 5.0L & AOD swap? T5z swap? C4? Powerglide? I can't decide! I looked at his YouTube I donÂ’t think it is it but I have messaged him. Thank you.